We all remember the MINI -E from a few years ago. 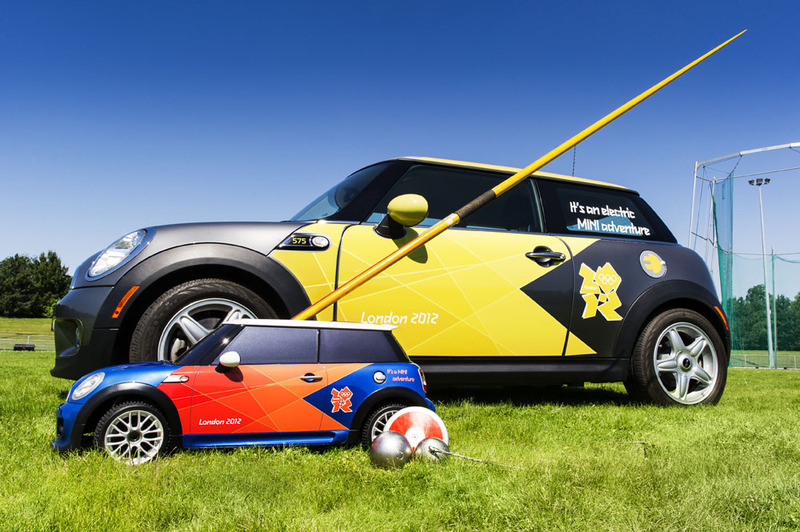 We also know that BMW has put those MINIs back into service at the 2012 Olympics as part of their automotive partnership with the Olympics. 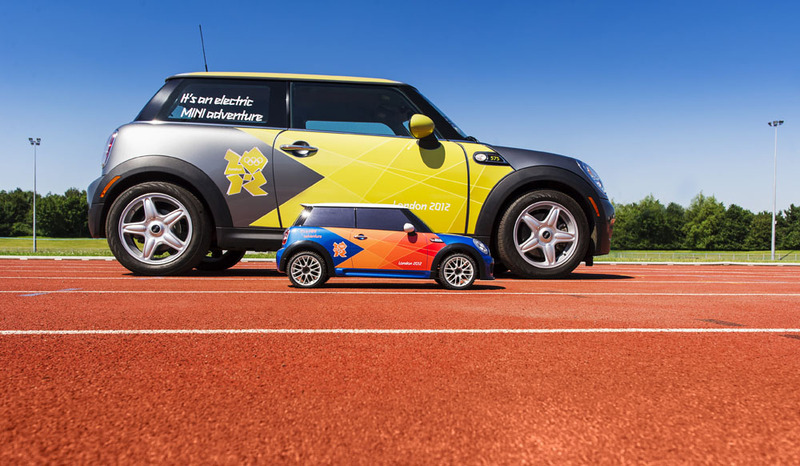 What we haven’t seen is the newest electic MINI being put into service at the Olympic games. 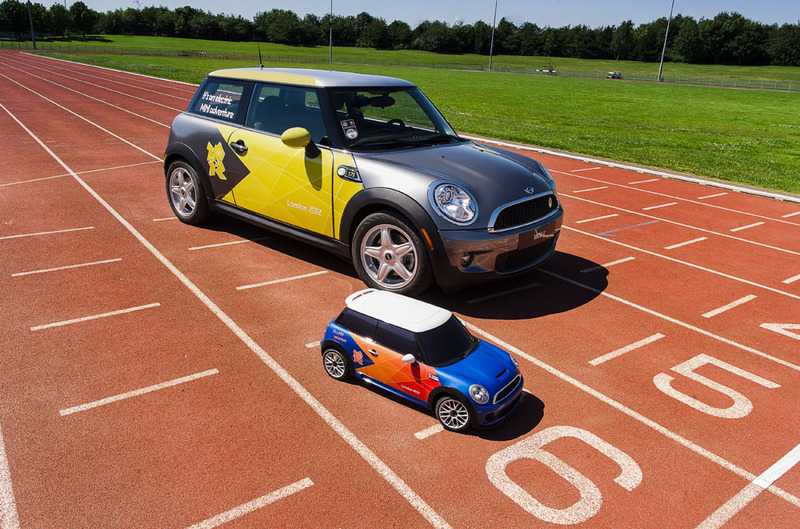 >Today, BMW is proud to introduce another critical electric vehicle to the Olympic and Paralympic fleet: the Mini MINI. This specially developed and designed radio controlled electric car will be used on the field of play in the Olympic Stadium to ferry javelins, discuses, hammers and shots back from the field to the throwing area, saving valuable time during competition. That’s right. The Mini MINI. 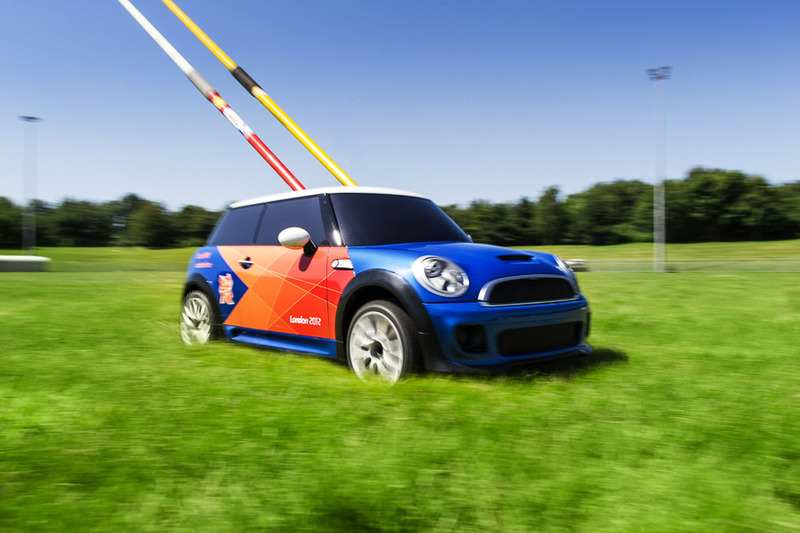 More specifically, R/C MINIs that will be used, as mentioned above, to shuttle Track & Field equipment from the field to the training area. 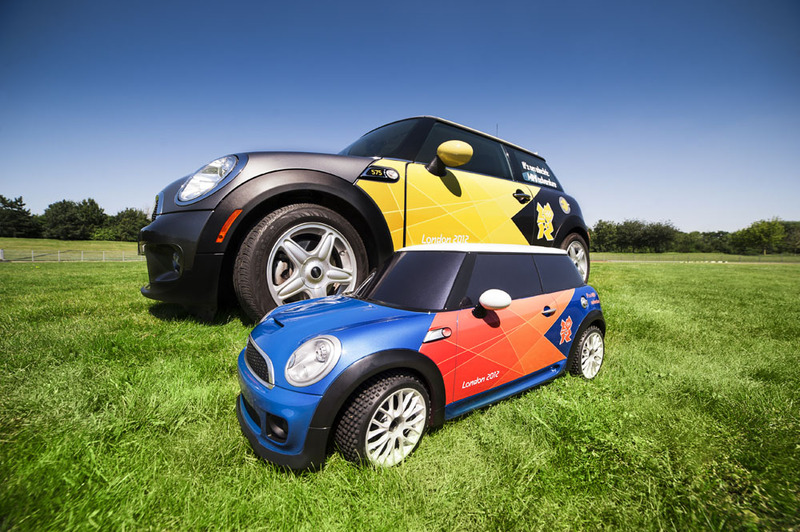 The fleet of 3 Mini MINIs are 1/4 scale, feature a 10HP motor, full Olympic livery, dual vented disc brakes, heavy duty shocks and grass tires. Each weighs 25kg and with the removable sunroof is capable of carrying a javelin, shot or discus. Range is 100 meters and they can run for 35 minutes with an 85 minute recharge time. Full press release and features after the jump. Have to wonder how to get ahold of one of these MINIs! BMW, Official Automotive Partner to the London 2012 Olympic and Paralympic Games, is keeping the Games moving with a range of fully electric vehicles as part of the fleet. The 160 BMW 1 Series ActiveE models and 40 MINI E’s are being used for many duties including shuttling athletes and officials within the Olympic Park and surrounding Games sites. They also helped support elements of the Olympic Torch Relay convoy on its journey around the UK and will do so similarly for the Paralympic Torch Relay.